Small wall mounted mixer with high flow rate, can be used for showers or as a bathtub filler. The solid stainless steel built-in kit is to be ordered separately. Available with 80 mm diameter or with 50 mm diameter escutcheon (version B5). Also available in our exclusive PVD finishes Titanium, Rose Gold, Gold and Black Steel, all over brushed stainless steel. Marine grade solid stainless steel AISI316. Supplied with the stick lever and with a stainless steel cap: you decide if you prefer the look with or without stick. 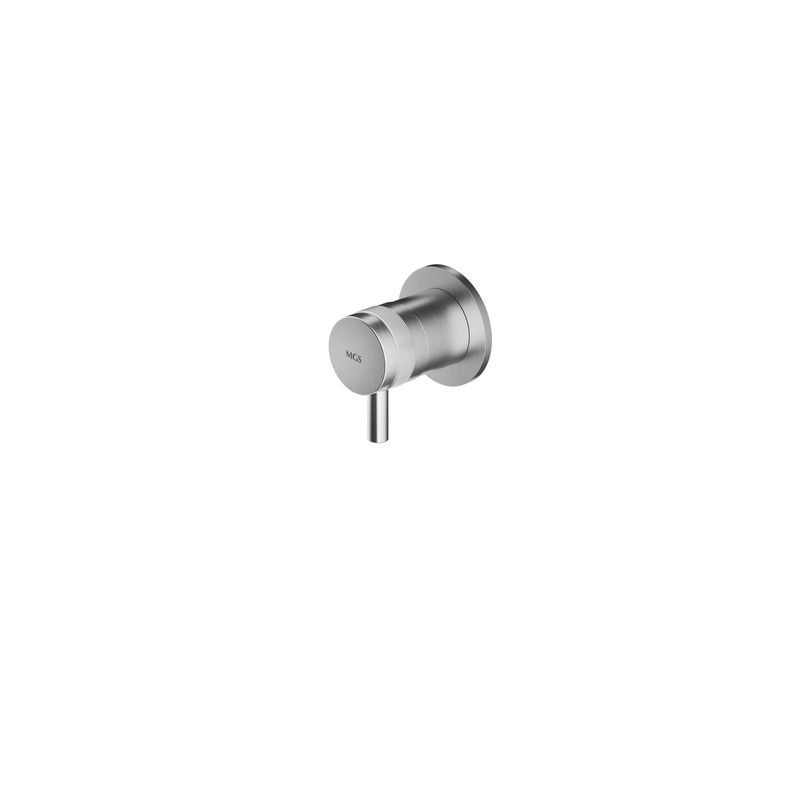 If used as a shower valve it requires separate pressure balance to comply with US code.